Who wants to hear something funny? The Communist Party of Vietnam is holding a ‘democratic’ election this week, letting the people cast their votes on potential candidates capable of running for office. However, there are some catches: the candidates are chosen by the Communist Party, they represent no one else but the Communist Party, and all issues and agendas must resonate with the VCP. Multiparty elections remain strictly prohibited and the mere mention of such an idea can still get a person thrown in jail for long periods of time. Why are they doing this exactly? Nowadays, the Vietnamese Communists like to talk about ‘openness’ and ‘transparency.’ simulating democracy to appear more humane and fair before the eyes of potential investors. Some may argue that what they’re doing is somewhat democratic, that the country is slowly changing itself into a real democracy. Idealistic, but unrealistic. There is nothing democratic about this election, not even the candidates. It is disappointing, but this election, and I use this term loosely, is just a show for the people of Vietnam who are still kept in the dark. 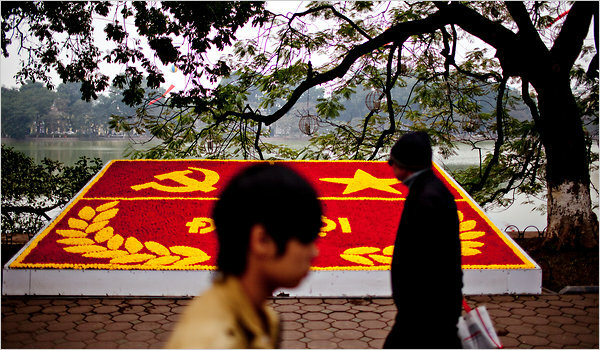 There are a few in Vietnam who know the true meaning of democracy. Sadly, these knowledgable ones are unable to bring it their visions, due to the brutality of the Communist system. Even those that become members of this National Assembly will still be subordinate to the Politburo, the supreme ruling circle of the VCP. There will still be no checks and balances, and no change will truly come. Therefore, the type of democracy these dictators claim to practice is just a sham, another trick that a Communist is trying to pass off as something substantial. 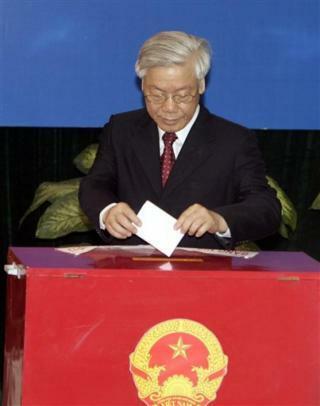 Pictures: “Towards prosperity, a strong nation, fairness, democracy, and civilization!”; VCP General Secretary Nguyen Phu Trong drops a ballot into the ballot box. Why the number one leader in the country is casting a vote for his subordinates is beyond this blogger’s understanding. 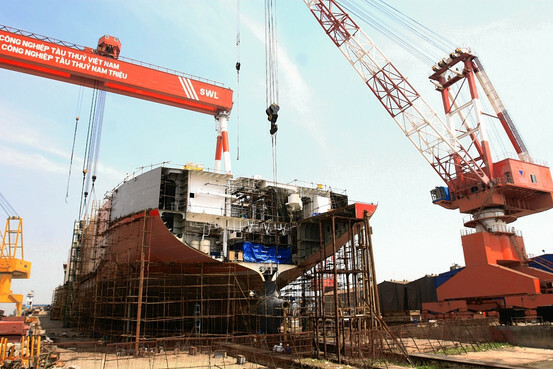 Anyone seeking substantial evidence of Vietnam’s unstable economy may want to take a look at the current state of Vinashin, the country’s state-run shipbuilding corporation. 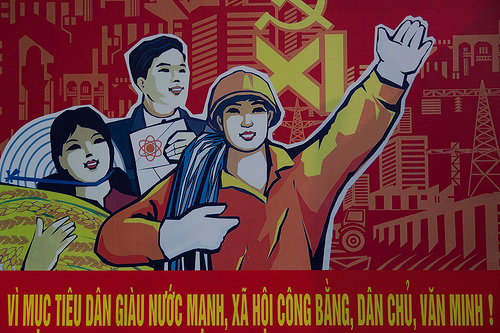 What was meant to be Vietnam’s first great leap into the industrial era has turned out to be a major fiasco. 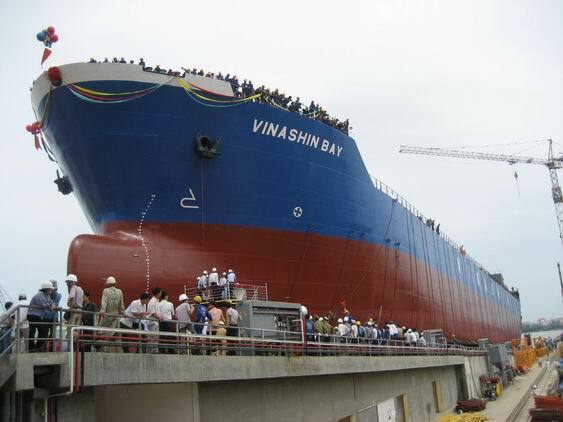 Vinashin was the Communist Party’s attempt to lead Vietnam’s economy into the shipbuilding arena. The had hoped to create more heavy industries in Vietnam, with Vinashin at the forefront of this path to modernization. Unfortunately for them, this dream will not become a reality. Vinashin has run up a debt of $4.4 billion, with $600 million of this money owed to foreign investors. As a state-run company, Vinashin was depending on some government assistance to keep the company afloat. However, at least to the company’s surprise, the government did not come to their assistance. In 2007, the government sent a letter to Vinashin that expressed their support for the company, safeguarding a $600 million loan from foreign investors. This promise meant nothing, it turns out. When Vinashin encountered financial troubles as a result of the recent global recession, the government failed to provide help to the company. As a result, Vinashin was unable to repay its ever growing debts, and drew even closer to bankruptcy. The incompetence of the Communist government, along with the company’s personnel, have led to the downfall of the shipbuilding corporation. 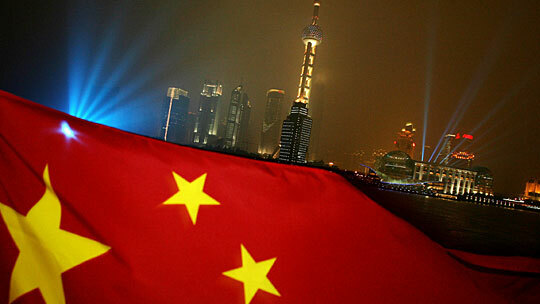 Foreign investors and lenders now believe that they have been cheated by the VCP. With billions of dollars in debt and no sign of improvement, the Vinashin shipbuilding company has no way to repay their investors, who are demanding their money back. Economically, Vinashin is a prime example of how incapable the Communist Party is of building a functional corporation for the country. With no emphasis on creating a professional workforce or the training of competent employment, any attempt by the state to modernize the economy will surely end in failure. 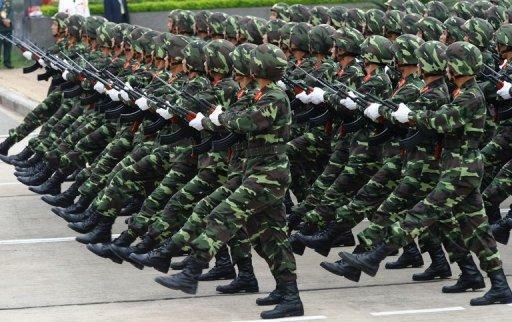 A peaceful gathering turned violent last week when thousands of Hmong demonstrators clashed with government forces in Vietnam. What started out as a religious assembly of Hmong Christians turned into a violent repression as their prayers were interrupted and crushed by the Vietnamese Communist Party. 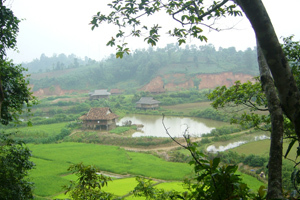 The Communist government moved in their military and security forces into the province of Dien Bien to suppress the religious demonstration of the Hmong poeple, killing about 49, wounding several hundreds, and detaining countless more. This is the latest example in how far the Communist Party will go to defend their own power. They will not hesitate to murder their own population to maintain their stranglehold on governance. For a Communist, terror and atrocity is not the last resort, but rather a conventional tactic. In response to recent criticism, the Communist Party rationalizes their actions by saying that the Hmong protestors of using religion to undermine the state and “calling for a separate empire of the Hmong people,” which is not only absurd, but just stupid. The United States government says that they will investigate the situation, which could mean many things. At this moment, the U.S. is not very happy with the Vietnamese Communists, but still wants to have them as allies as counter-weight against China. That is why they are keeping an uneasy silence against the recent crimes of the VCP. The arrest of Cu Huy Ha Vu last month came at the chagrin of the Americans, now this recent attack on the Hmong protestors is further straining the relationship. The Communists really need to recognize the value of the U.S. as a potential partner. Supporting human rights and international law is a simple act that can have so many positive results. They should think about that. First off, one must express condolence to the recent passing of Madam Nhu. She is a human being and, as such, deserves as much respect upon her death as any other human being. Why must we speak of respect at the beginning of this article? 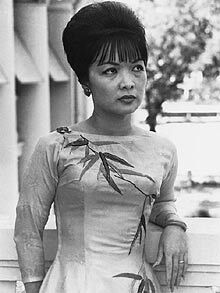 Well, as the wife of a prominent South Vietnamese politician, Ngo Dinh Nhu, Lady Nhu was not the most humble of people. If you have ever wondered why President Ngo Dinh Diem was branded as an oppressive anti-Buddhist, Madam Nhu is part of the reason why. Tran Le Xuan (Madam Nhu) was known for her sharp tongue and shrill personality. Known as the ‘Dragon Lady,’ Xuan would often express her harsh points of views in the most vulgar of ways. Madam Nhu never hesitated to publicly bash the Buddhist population, making discriminatory remarks, and belittle the people of the religion. She shamelessly labelled the self immolations of the Buddhist monks as ‘barbecues,’ lauding that she would willingly clap her hands as she watches them burn. To call Tran Le Xuan an outspoken political figure would be an understatement. Aside from her blatant disrespect for the Buddhist population, Madam Nhu liked to bash anything or anyone that she did not agree with. Her targets included the American media, domestic politicians, and even the president himself. As a result, she became a lighting rod for western journalists, providing them with much ammunition to degrade the image of South Vietnam. Madam Nhu’s words and actions would be widely publicized, used by the media to further ruin the reputation of president Ngo Dinh Diem. To better understand the circumstances of Ngo Dinh Diem, the First President of South Vietnam, one must look at his family. Diem himself did little to discriminate againt the Buddhist population as a whole. In reality, it was the actions of several of his powerful family members, Madam Nhu among them, that sparked the civil discontent of the Buddhist population. Diem’s main fault was failing to control them. The U.S. government also played a role in creating Buddhist discontent as part of their plan to remove Diem. However, the stupidity of some of the members of the Ngo family seriously exacerbated the situation, giving the Americans all the means to destroy Diem’s image. This is the unfortunate reality. Madam Nhu, the sister-in-law of Ngo Dinh Diem, played a role that affected South Vietnam in an extremely negative way. 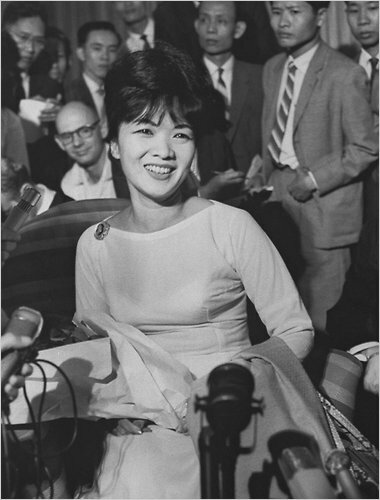 She was a public figure that attracted much media attention, but she abused this power and represented South Vietnam in a very poor light. This article is in no way meant to disrespect the late Tran Le Xuan. She was a tough minded woman, but the truth is that she made some critical mistakes, many which resulted in the suffering of the Vietnamese people. Therefore, even though one should still respect her passing, one must not forget the wrongs she has done. Madam Nhu passed away on April 24, 2011, at the age of 87. May she rest in peace.